The owner has recently reduced the price of this magnificent yacht to only £1,490,000. She is now priced to sell, making this excellently outfitted Manhattan 73 the best value on the market. Compare and you’ll agree. 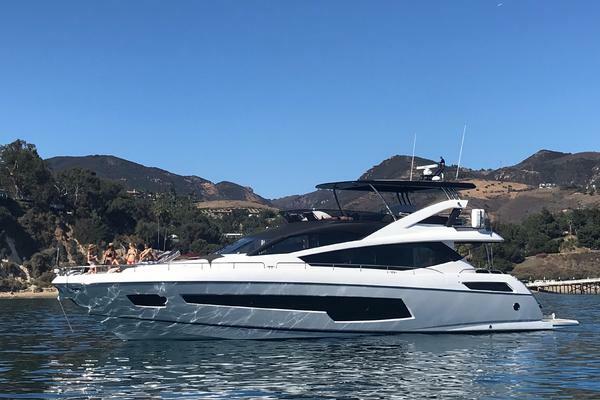 Come aboard and you’ll want to own thisexquisite yacht.Inquire about available arrangements for assignment of qualified crew and ongoing management of the vessel. The owner has spent considerable time and money to create this beautiful and elegant open-plan interior. She is flawless, and with a 2,000 mile range, she is ready to carry you safely wherever you want to go, in comfort and uncompromising style. This four stateroom model includes three double suites and one with twins. It has full crew quarters with a second full galley and full head. True luxurious style with no compromises, it features exquisite woods, every option available, Armani Casa fabrics throughout, upgraded entertainment, tropical air con upgrade and much more. There are many lovely gathering areas where you can entertain your family and friends. Maintained in like-new condition by the local Sunseeker team this is a boat that you will not have to make apologies for. There are two very special technical features onboard this yacht, the first being Side Power Fin Stabilizers. This stabilizer system eliminates rolling action and ensures that your guests will be comfortable. Particularly appreciated by those that tend to get a little sea-sick. The other excellent technical feature is the trailing pump system installed on the gearbox. Never done before on yachts under 100ft this system opens up ranges of over 2,000 nautical miles. The yacht is able to safely run one engine at fuel consumption around 27L p/hr. 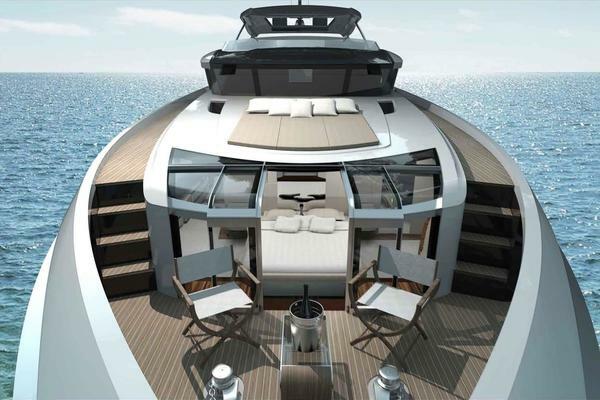 The yacht is now capable of long passages usually only seen on semi-displacement hulls. An extremely impressive addition to this very well specified yacht. This is truly a spectacular yacht that needs to be seen to really appreciate what has been created by the owner and the factory. United Yacht Sales New Jersey would love to guide you through a personal showing of this 75' Sunseeker Manhattan 2013. This yacht for sale is located in Phuket Thailand and priced at $2,199,000. For a showing please contact us by filling out the form on this page and we will get back to you shortly!